The collapse of Bulgaria’s previous social order, communism, left the country with a moral and ideological void that was quickly filled with crime and corruption. A culture originally shaped by communism currently is influenced by capitalism and democracy. Post communist mentality with definite Balkan characteristics rules the country as a whole. This mentality holds captive nearly every progressive thought and idea. In the post communist context, the atheistic mind is a given and even when an individual experiences a genuine need for spirituality, in most cases he or she has no religious root to which to return other than Orthodoxy. This lack of alternative or spiritual choice produces a pessimistic morale. From an environment of uncertainty and hopelessness, the Bulgarian Evangelical believer turns to the continuity of faith in the Almighty Redeemer. Pentecostalism as practical Christianity gives a sense of internal motivation to the discouraged. In a society that is limited in conduciveness for progression of thought or self actualization, one finds refuge in the promises of Christianity. It becomes a certainty which can be relied upon. Historically, having undergone severe persecution, the Bulgarian Evangelical believer is one who possesses great devotion to his or her belief. Having to defend the faith fosters a deep sense of appreciation and in an impoverished country, faith becomes all some have. Christ becomes the only one to whom to turn for provision. In the midst of this complete dependence is where miracles occur. 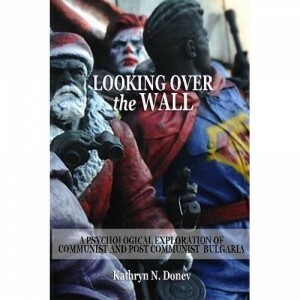 Furthermore, it is in the midst of miracles where the skepticism which is prominent in post communist Bulgaria is broken. When those who believe are healed from cancer and even raised from the dead, there is no room for disbelief or low self-esteem. Surrounded with insecurity and uncertainty, the Bulgarian Evangelical believer finds great hope and comfort in the fact that God holds the future in His hands. Christianity is a reality that is certain.